The hostilities near the town of Avdiyivka in Donbas once again began to escalate Monday morning following heavy fighting in that area on Sunday, the press service of the frontline 72nd guards mechanized brigade reported. 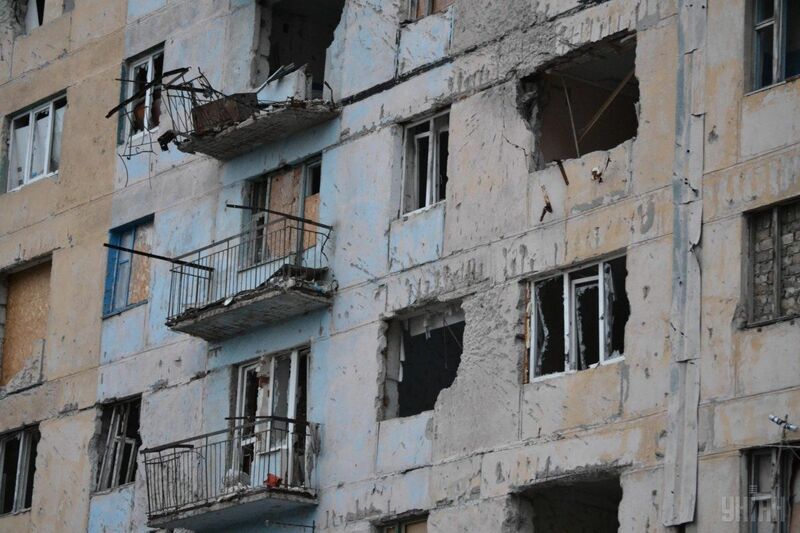 Militants use banned heavy weapons, including those of 120mm caliber, shelling the Ukrainian troops along the frontline from Donetsk airport to Yasinuvata railway station, press officer Olena Mokrinchuk reported, according to Ukrainska Pravda. On Monday morning, Ukrainian army positions came under heavy artillery fire, according to Facebook user Stanislav Vasin, currently located in Donetsk. Read alsoUkraine reports 5 KIA, 9 WIA in Donbas in past day amid escalationThe intensity of fighting slightly decreased overnight, but it went back up again in the morning. After receiving support from other units of the brigade, soldiers near Avdiyivka hold their ground, including the positions earlier re-seized from the enemy in a counterattack, the press service said. As UNIAN reported earlier, four Ukrainian soldiers were killed and five wounded during the militant's attack on Avdiyivka on Sunday.